Hello! 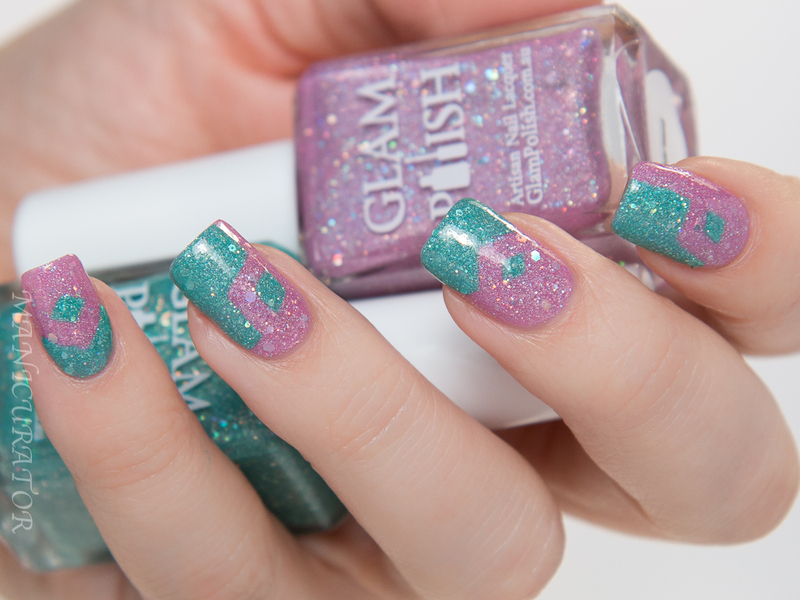 What a stunning collection from Glam Polish today. These are like my dream shades. This is the 3rd installment of the Cast A Spell series called The White Witch Collection and there are 9 shades in total. I have 5 and am tryyyying to be good and not order the others but I really need them! 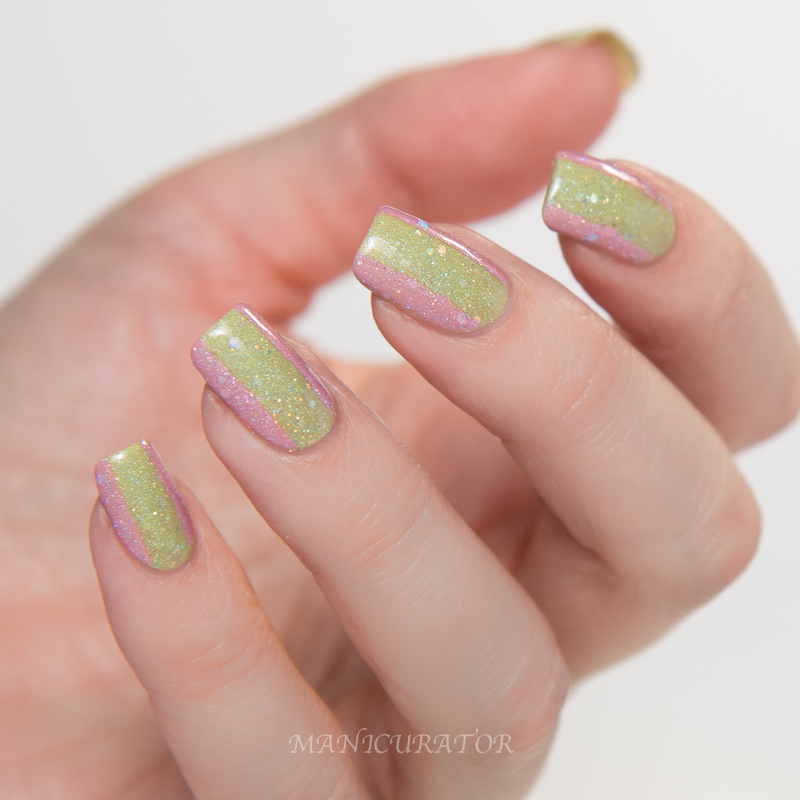 Nine sparkling pastel holo shades packed full of holographic glitter, in part one and two of our Cast a Spell Collection we explored the world of dark magic, Cast a Spell Part 3: The White Witch Collection is inspired by white magic, the use of supernatural powers or magic for good and selfless purposes. I knew I had to create some simple nail art designs with these, all of the shades go brilliantly with each other but I went with the color combos that jumped out at me! 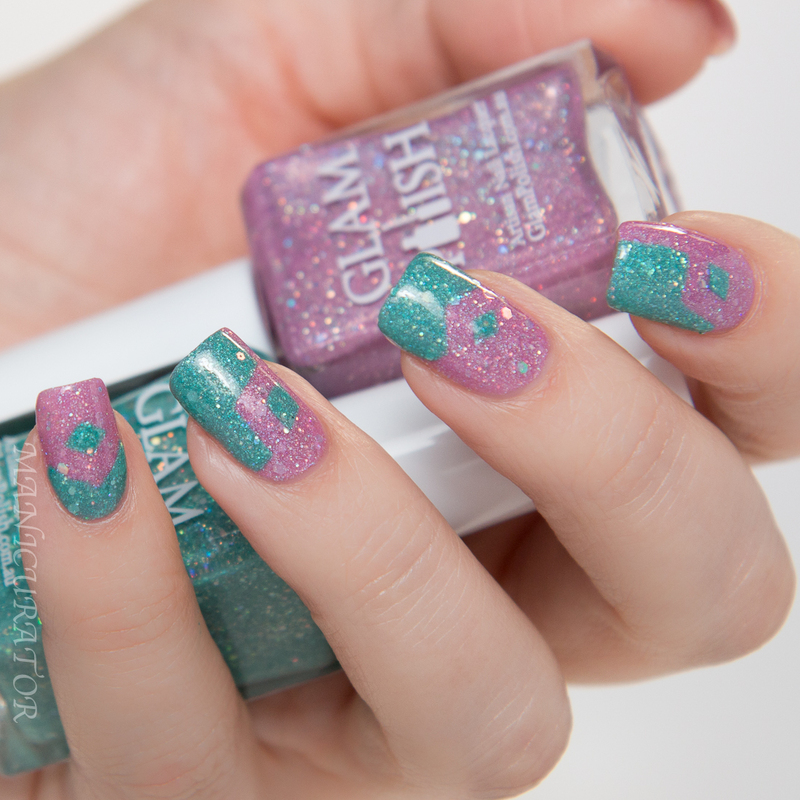 I combined Glam Polish Charmed - a rose holo with holo glitter and Glam Polish Entrance - a teal holo with holo glitter. I used KBShimmer Nail Vinyls to create my design. 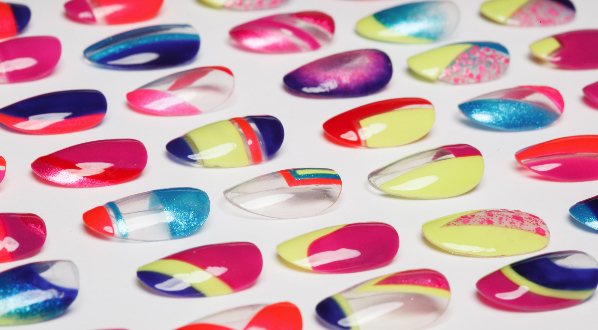 I'm always searching for ways to show off two or more colors of a collection through nail art. I thought this one was interesting and different, and showcased each shade. Glam Polish Charmed on its own here. It photographed slightly darker than it looks in real life. All the shades had the same excellent formula with perfect coverage in 2 coats. They do all dry somewhat textured. I suggest two coats of top coat even! I only have once coat of top coat but by the next day it had soaked all in and I needed a 2nd layer of tc. 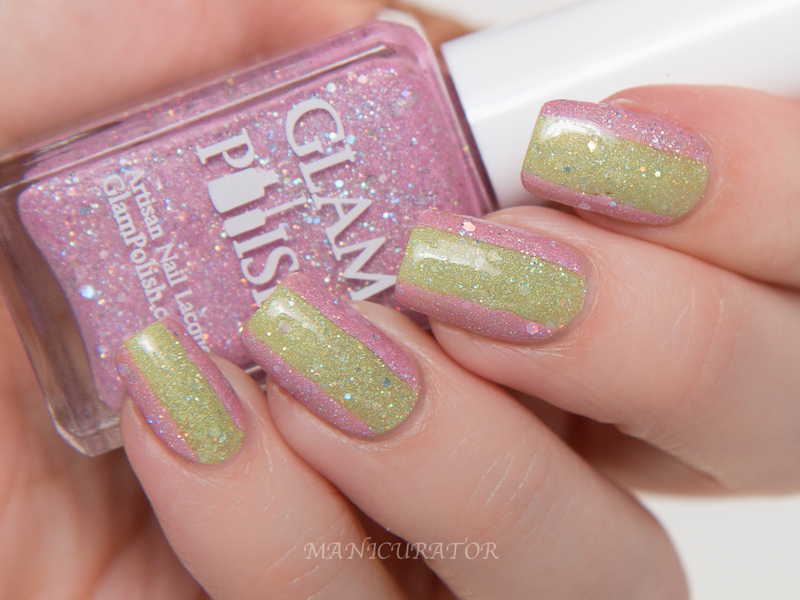 Glam Polish Enchanted a light pink holo with holo glitters and Glam Polish Mystify a lemon holo with holo glitters. Such a simple but classy and striking look in my opinion! Love it! 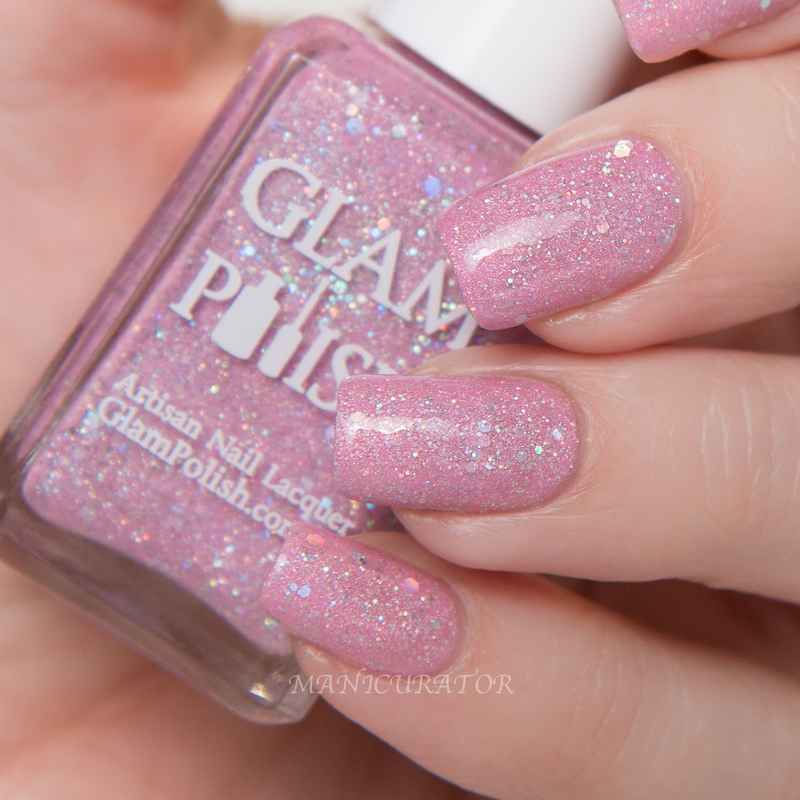 Glam Polish Mystify on its own. I personally think Mystify falls in the lemon/lime range and it's such a great shade! 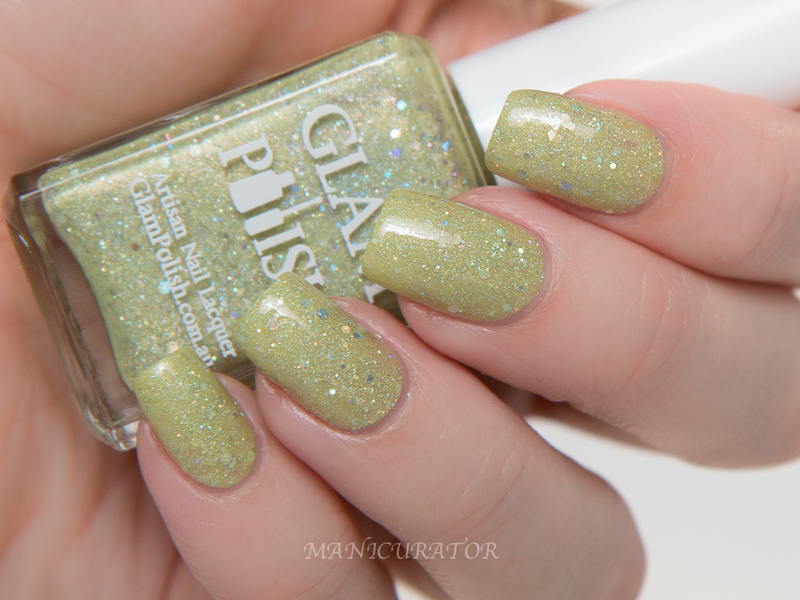 Glam Polish Enchanted on its own. This is the one I chose to keep on! So pretty! 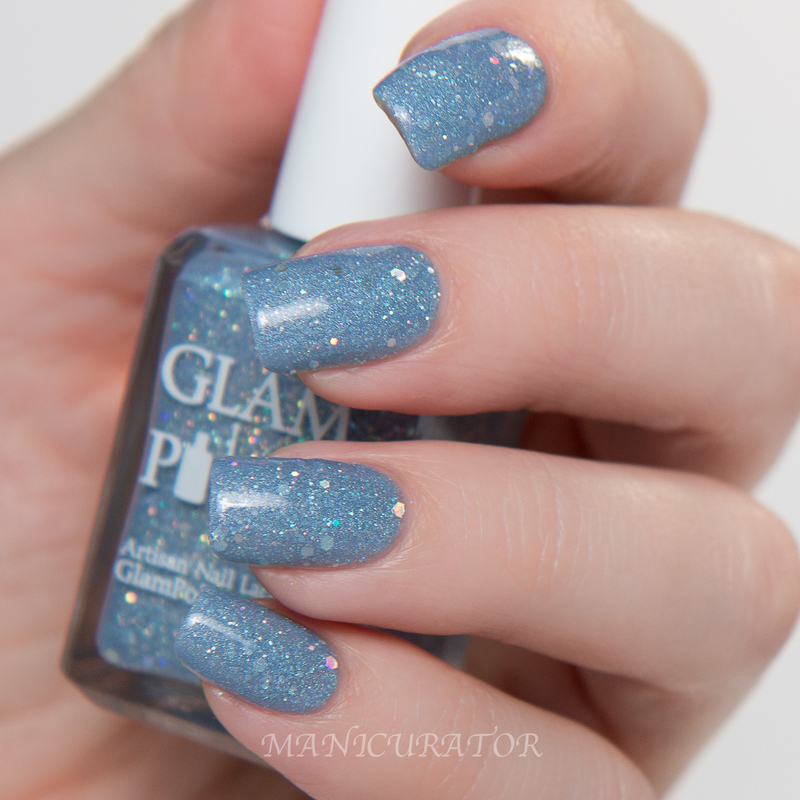 Glam Polish Mystify and Glam Polish Spellbound a periwinkle holo with holo glitters. Another super simple one. I wish I never had to take it off. Loved wearing this one. 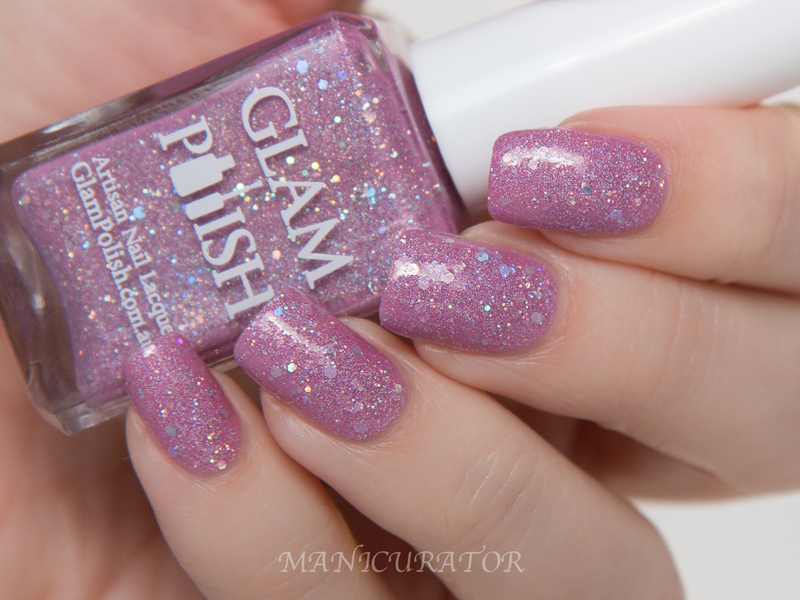 Glam Polish Spellbound on it's own. This one is also a tad bit lighter in person. I adore Spring and its inevitable pastels. I say that every year!! Are you a fan of the pastels? Gorgeous colors and I love your nail art! Ohhhh this collection has me SWOONING all over the place every time I see it! I love the pink and yellow manicure you did! Hi Vicky ! Love how you managed to pair the colors together ! 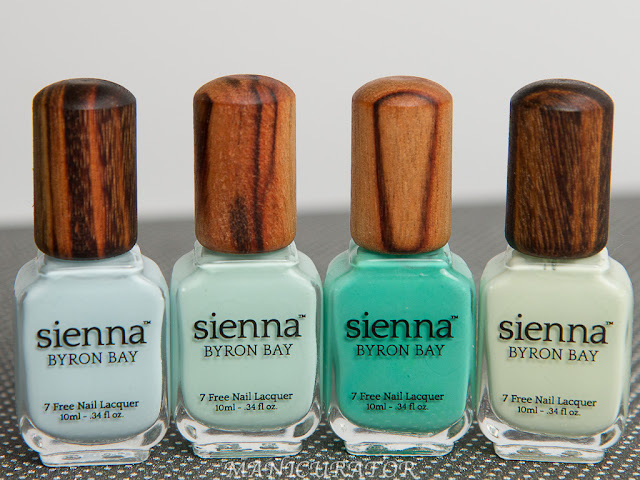 All of the manis look great :) I love all of the shades ! Ughh I NEED Spellbound! It's so incredible. Gorgeous swatches and nail art too! Ermagerd these are so so so pretty! I love the way you combined them especially Charmed and Entrance. They belong together. This is so pretty and your nails are KILLER!!! All of the looks you came up with are lovely! Gorgeous Nails and gorgeous shades.